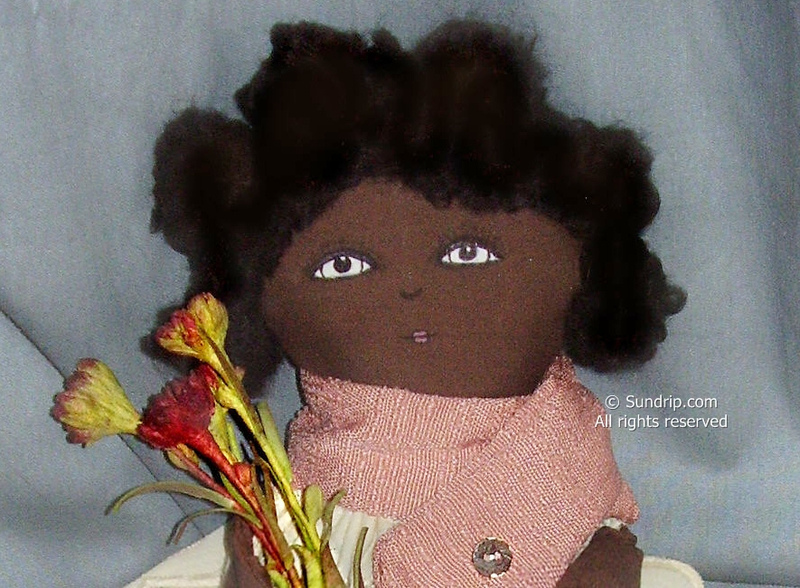 This doll has been hand stitched and has a dress which doubles as a bag holder for 'green conscious' individuals. 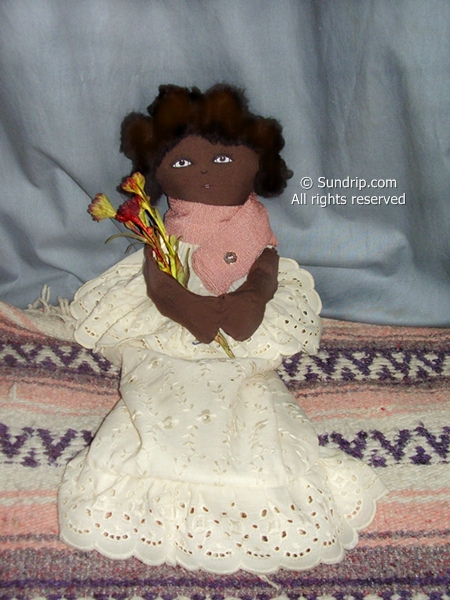 Her hair is made of soft brown yarn and comes down long to her arms but is currently twisted up. All her accessories such as the 5 paper flowers and gold trim scarf can be removed for a new look. With peachy soft skin, big green eyes and beautiful brown hair this plastic bag holder doll will surely bring a smile to your face. Her dress is a dark reddish brown and cream checkered pattern. 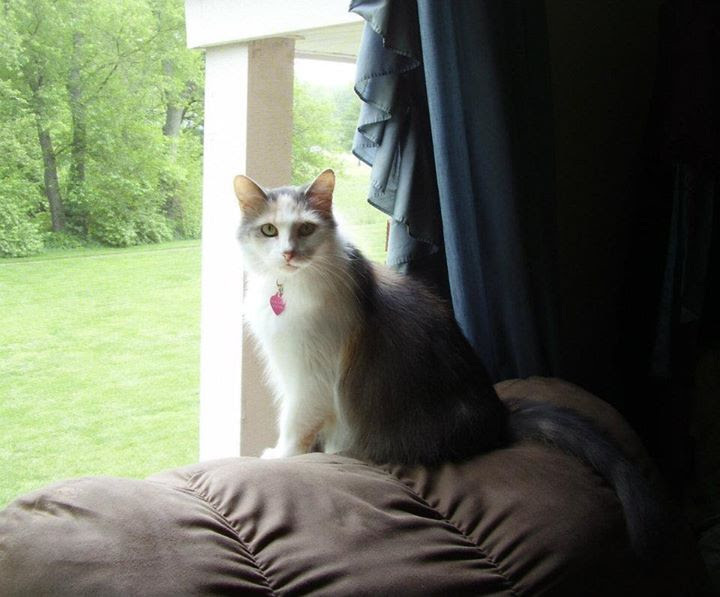 She'll fit perfectly in a country or modern home. 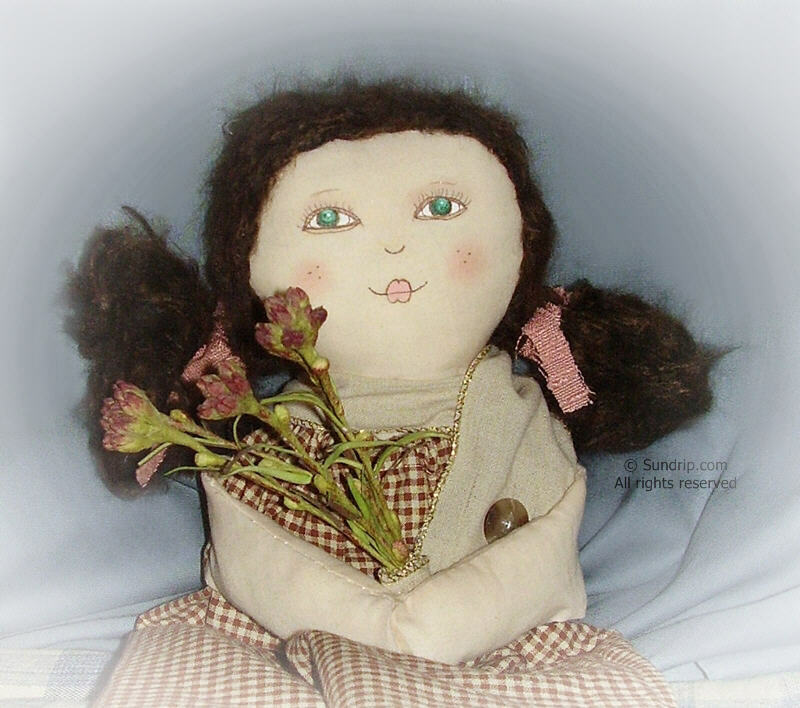 The doll was hand stitched and her features were hand painted. 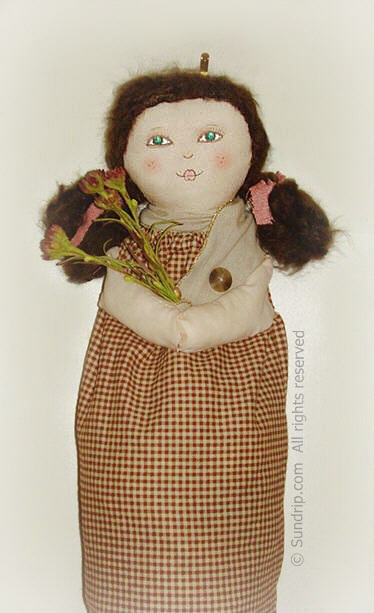 The bag itself is a rescued item as are the flowers, buttons and ribbon for her scarf. Please see the link on my sidebar to my Etsy shop for price and shipping details. Thank you. She's really adorable. I love the dolls you did for me. They're on my bookshelf in a place of honor.